EVERYONE'S favourite blue tang Dory is back in the first trailer for Pixar's Finding Dory. The long-awaited sequel to 2003's Oscar-winning film Finding Nemo, to be released in June next year, centres on the forgetful reef fish voiced by Ellen DeGeneres. Today's first look at the new film sees Dory trying to keep hold of a fleeting memory when she remembers "something important" about her family. The trailer also sees her happily at home on the reef with Nemo and his dad Marlin, who she helped to reunite in the first film. The two clownfish keep her from wandering off during bouts of "sleep swimming". The new film will also feature the voices of Dominic West, Idris Elba, Diane Keaton, Ed O'Neill and Ty Burrell. 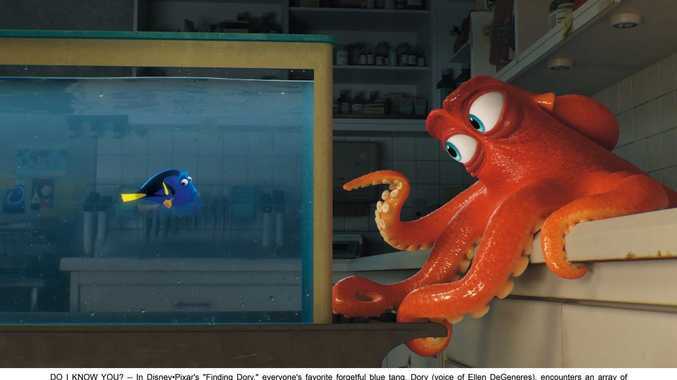 Finding Dory is due for release on June 16, 2016.